The association told HC there were only about 800 such doctors in the state. Its counsel A A Kumbhakoni said the course was aimed at creating "barefoot doctors" who would attend to patients in rural and inaccessible areas. These doctors did not treat serious ailments or carry out invasive surgeries but prescribed allopathic drugs for treatment of minor ailments, the counsel said. 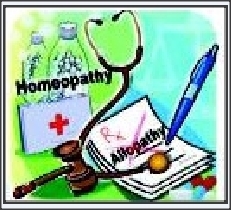 However, Bombay Homoeopathic & Biochemic Practitioners (Amendment) Act, 1985, restricted the doctors to "homoeopathic and biochemic systems of medicine" in June 1988. The question before the court was whether an amendment enforced in 1988 would be applicable to petitioners who had already completed the LCEH course. Justices S J Vazifdar and Mridula Bhatkar noted that there was nothing in the amended Act that made it retrospective. "Clearer language would be required to make the provision retrospective, for it substantially adversely affects the rights of persons with LCEH qualification practicing in fields other than homoeopathic and biochemic systems of medicine," they said. Thanks for the comments. Do like the posts and share these.